Go to any supermarket and you’ll find that there are various types of the same product. Salt, for example, is sold as course rock salt, fine salt, iodized rock salt, and various types of seasoning salt. Or pepper, which is sold as whole, ground, or powdered even though they’re all the same thing but serve different purposes. In some cases, such as pepper, it’s easy to tell what’s what and when to use the different types. But for less popular condiments and spices such as mustard, it may be difficult to spot which is which, especially for the less used dry types, and the various terms and types could all actually be referring to the same product. Today, we’re going to differentiate the different types of dry mustard. We explain what dry mustard is, if it’s different from mustard powder or powdered mustard, and if it’s possible to use dry mustard as a substitute for regular mustard. Dry mustard is powdered mustard seeds. It’s also known as English mustard and is a spice used to season sauces, dressings, salads, meats, and other foods that go well with its earthy, bitter flavor. Dry mustard, in its organic form, is either a dark brown or white powder because of the seeds’ color. You can usually find dry mustard with the other spices in your grocery. It’s available in black, brown, and white dry mustard, with white being the strongest in flavor. You’ll often find it next to whole mustard seeds. 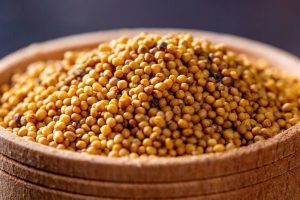 Unlike “wet” mustard (Dijon, honey mustard, or any type of mustard you can spread), dry mustard is simply powdered mustard seeds and is purely mustard. “Wet” mustard, on the other hand, involves a lot of other ingredients that either drastically change the flavor of mustard or use mustard to enhance the flavor of another ingredient. Dry mustard is often used to make the “wet” version of mustards such as honey mustard, Dijon mustard, or the yellow American version of mustard. 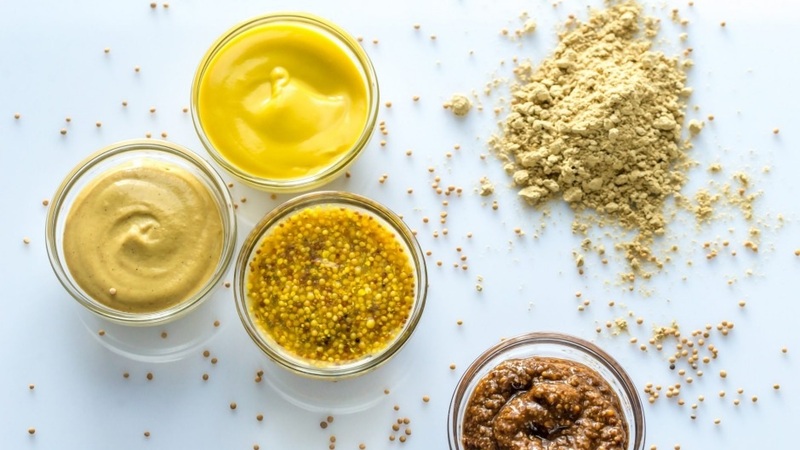 The flavor between dry and wet mustard is significantly different because dry mustard is simply mustard seeds crushed into a fine powder while wet mustard products are mixed with other items. Honey mustard, for example, usually has mayonnaise, honey, and cayenne pepper, while Dijon mustard has many herbs and spices mixed into it. Dry mustard is the same as powdered mustard. It’s another name some marketers used to distinguish their products among a line of other dry mustard products. While it is technically dry, you won’t find whole mustard seeds sold as “dry mustard.” Dry mustard is known as the spice, not the seed, so be careful when buying. Mustard seeds are more flavorful than dry mustard because the latter has already been crushed and packaged, losing some of its flavor in the process. You can try to make your own dry mustard at home for a stronger powder, but if you want to save yourself the effort, dry mustard is fine as well. If you can’t find dry mustard in your local supermarket, you can try looking for these alternatives instead. Mustard seeds can be a substitute for dry mustard as you only need to ground them to make your own dry mustard. You can use a coffee grinder, spice grinder, mortar and pestle, or simply place a handful of seeds inside a folded piece of cloth and crush it manually with a heavy object. Crush your mustard until you achieve the desired consistency. 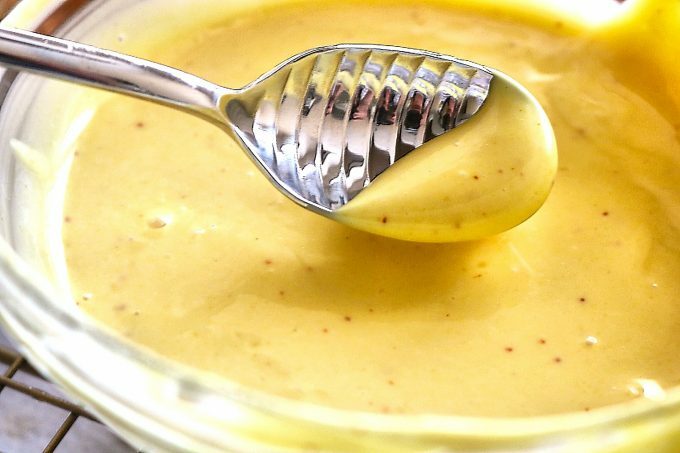 Because it can’t be crushed to be totally powdered like store-bought dry mustard, homemade dry mustard cannot totally emulsify sauces or dressings and can only be used for seasoning and rubs. Also, because the dry mustard is still fresh, if a recipe calls for a cup of dry mustard, only use half a cup, as the flavor is much stronger than dry mustard. While wasabi tastes hotter than dry mustard, in small measurements, it has a similar flavor. 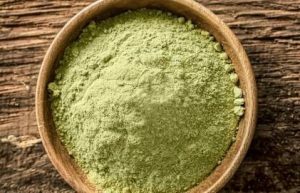 They have the same powdered consistency and are both plant-based condiments. Some cooks and food manufacturers even opt to replace dry mustard with wasabi powder since wasabi adds an extra kick. However, because of the hot flavor, try using half the amount of wasabi and then add the rest in small amounts until you reach a good enough flavor that isn’t too hot for you. Horseradish is a relative of the mustard plant, which is why it makes a good substitute in its powdered form. Like wasabi, its flavor is similar to mustard, but has a hotter (but not as hot as wasabi) and more sour flavor. Horseradish makes a good substitute to dry mustard as a condiment, but only in its powdered form. “Wet” horseradish products taste very different from dry mustard, as it tastes more like vinegar than the pure form of horseradish. Also, horseradish powder is only effective as a seasoning for cold dishes, since horseradish loses its spice under heat. Can I Use “Wet” Mustard as a Dry Mustard Substitute? In most cases, such as with marinades and rubs, the flavor of dry mustard and regular mustard may taste similar. For every teaspoon of dry mustard, replace it with one tablespoon of mustard. Wet mustard is often used as a condiment for sandwiches and burgers. Some may also like to add it to their salads as a dressing. Dry mustard, on the other hand, is good as a spice marinade for meat, an addition to sauce, or for making homemade mustard if you want to create your own blend. It is possible to substitute dry mustard with “wet” mustard. However, if the recipe requires you to add over ¼ cup of “wet” mustard, it may begin to change the flavor and consistency of the recipe. To remedy this, you may have to add more of the other ingredients to make up for it. Dry mustard is a useful spice to have if you want a mild kick in your dressing, sauces, or other food you want to add seasoning to. If you can’t find it in your local grocery store, you can always use a substitute as long as you can find a good balance for it.